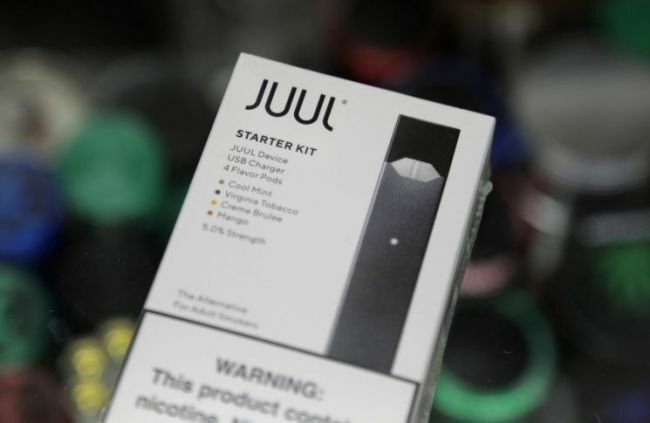 US e-cigarette maker Juul Labs Inc. is likely to enter the South Korean market within the first half of the year, the company said Tuesday. The San Francisco-based company released the e-cigarette brand Juul in 2017 in the US. Its US market share was 72 percent as of September 2018. “We are aiming to put the Juul on the South Korean market during the first half of this year or at the start of the latter half at the latest,” a company representative said. Before entering the South Korean market, Juul Labs had sold the popular liquid e-cigarette in Germany, France, Britain, Switzerland, Canada, Russia and Israel. The e-cigarette maker established its local subsidiary, Juul Labs Korea, late last year, and has also filed a trademark application with the Korean Intellectual Property Office while working to secure a sales network. Juul Labs plans to sell a product with nicotine content of less than 1 percent. Korea permits e-cigarettes with nicotine levels of up to 2 percent. Juul pods sold in the US contain 3-5 percent nicotine.